Going green is good for the environment, and good for the consumer! 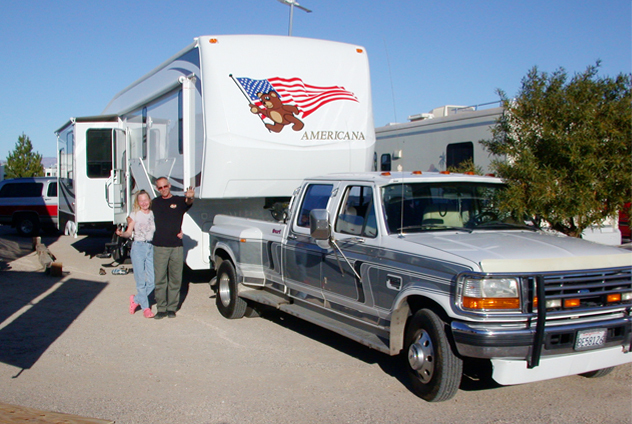 The Fairbanks (retired military) are full-timers and live in an RV park in Southern California. Their park has an individual meter for their space. Their expeerience has provided us with a real comparison between running with the solar panel and inverter system installed, or without. They only have one 110 watt solar panel installed, but for best daily power retention we did install 6 golf cart batteries. Please read the Faribank's e-mail below. The cost savings they are seeing are amazing! More good news - the Fairbanks have now been living in their new RT38/39SB for over 2 months with no complaints. Just wanted to send an update in regards to our solar package. Thank you for your help by referring our questions to Jerry. Our monthly electric charges went from $260 to $60.00! I couldn’t believe it!!! I had hoped to see a difference but was so surprised that it was this much. Our meter reading is done on the 24th of the month and we didn’t even start keeping a log until the 8th of the month, so we may see even more of a difference this month. It’s great that this little trailer actually helps pay for itself, so with this savings guess what?....that savings will be applied to the monthly payment. We are looking at getting a portable generator. What was the one you talked about? I recall it was a Honda something. We will probably want to have one for this summer. Hope all is well for all of you and Americana..We will keep in touch..
Re: Your question on propane consumption compared to electricity usage and switching our refrigerator to propane. I did not keep the receipts for how many gallons purchased but the cost of propane ranged from $2.45 to $2.85 per gallon. We do have the 12 cu ft refer, the on demand hot water system and of course our furnace which has run a lot this winter. We are so pleased with our purchase. Hope this all helps. I wish I would have kept better records and all the receipts for propane purchases, but I believe we can gather some important information from what is provided. We are planning on purchasing the Honda generator that you have sent info on because of the AC that will be needed this summer. Thanks for your interest. We love our home and all that it provides for us. Since we are used to paying nearly $1200 for rent each month, we went ahead and put an additional $300 on our trailer payment this month! Thanks AMERICANA and all of you.